I got the new Very Short Introduction to Ethnomusicology by Timothy Rice last month and I have been meaning to do a post about it for a few weeks now. This book is part of the VSI series published by Oxford University Press. I have been collecting this series for a very long time, because I find the small format, the high production values and the artistic covers very attractive. Though having said that, I noticed that on the more recent volumes the binding has changed from a stitched paperback to perfect-bound which does lower the tone a little. Books in the VSI series tend to be either excellent or rubbish. The constraints of the format – a small 100-ish page paperback that is to summarise an entire field of study or knowledge for the educated general reader, is very hard and it is interesting to see the authors strain to present complex spreads of ideas concisely and clearly. For me there were a number of useful insights or viewpoints to explore further. One was the issues of notation, “music as text”. But most interesting thing mentioned in the book, I thought, was the discussion of trance. I have come across ideas of trance in music before, but this book has reminded me that this is something I need to look into further. At the beginning of January I was fiddling with the setup of my harp, as part of an ill-fated New Years Resolution to change its tuning. For the last two months I have had 10 gold, 10 silver and 10 brass strings on (nominally), which I liked because of the neatness and symmetry of the counting. Taking the silver 3 notes higher than it ever used to be, up to an octave above middle c, must have emboldened me. 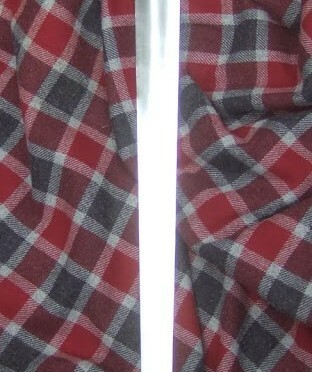 The silver I am using now, and the way I am drawing it hard, seems to work very well for thinner higher pitched strings. 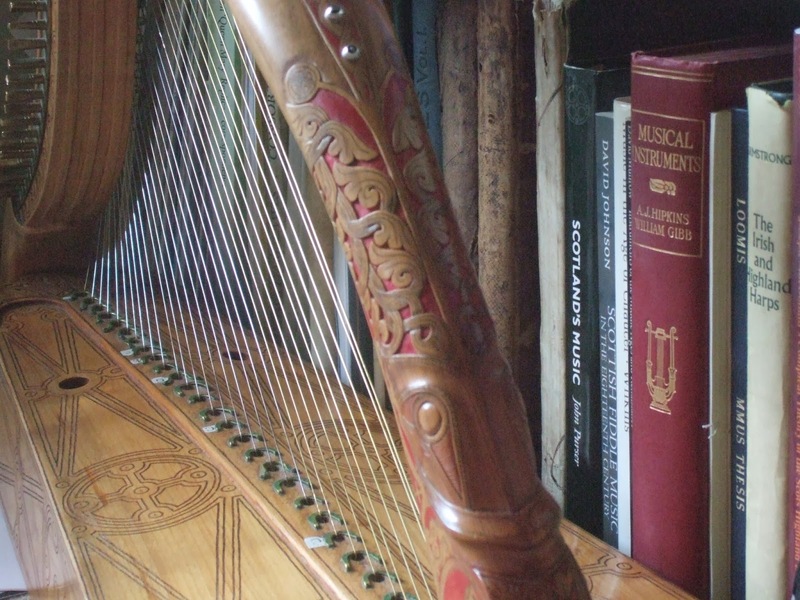 Also I have been pondering the Ouseley quote about the silver strings on the Trinity College harp. So the latest scheme (pictured below) takes the silver right up to the top of the harp. The only exception is the very highest string which still has Dan Tokar’s experimental super-hard-drawn gold wire from years back. I just can’t bring myself to remove it! The sound of the high silver is nice, more creamy and fluid that the brass. 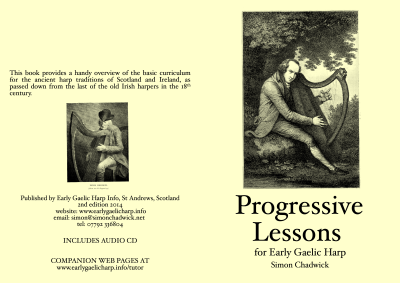 I think I always felt that the high strings on this harp were a bit pingy; I swayed between thinking that the treble end of the soundbox is too thick, or thinking that it is meant to be pingy as a contrast with the singing midrange and the roaring bass, or thinking that if I could only get the right type of brass (red brass, yellow brass, hard-drawn, latten…) then it would become perfect. Now I will watch how these high silver strings hold up for a couple of weeks. If they behave themselves then I’ll probably keep them going for a while. While I was riding on the bus to Dundee and back for my weekly harp class this afternoon, I listened to Professor Tom Devine on the death and reinvention of Scotland – not of the actual place or people of course, but of the idea of the nation. This was a lecture that was given at my old college last June. Devine spoke mostly about 18th and 19th century history, and I found a number of his points were very pertinent to the current groundswell and shifts in the constitutional settlement. Ideas about the pace of change in Scottish society, the enlightenment, the relationship between the Central Belt and the rest of the country. The way in which the Scottish settlement was seen as different from the Irish. Worth listening to if you have 50 minutes! Download as video or audio from Oxford Podcasts.